Not yet figured out your professional passion? Good news: you can still be purposeful in your work. Michelle’s desire to find meaning in her work is a very fine one – one that perhaps you share. Decades of behavioral science research suggest that having a personal sense of purpose helps us rise to the challenges life throws at us. For example, psychologists have long found that we persist and perform better on complex tasks when we’re driven by intrinsic incentives – such as personal satisfaction – rather than extrinsic ones like money and status. As a result, we’re more likely to achieve great things when our goals matter to us, rather than merely ticking someone else’s boxes. Meanwhile, other studies found that a sense of purpose tends to help people handle uncertainty and bounce back from adversity when things go wrong. So there’s no doubt that it’s helpful to feel that there’s a larger point to what you do. But you might also share Michelle’s uncertainty about how to identify that elusive sense of purpose in the middle of a packed workday. Do you have to wait until inspiration strikes while you’re on retreat in the Himalayas? Maybe not. Research suggests it’s possible to take useful baby steps toward the benefits of purposeful work, by taking just a few moments to reflect on what matters most to us. One research team explored this in a study where they put some volunteers under pressure by suddenly asking them to deliver a speech to a panel of unfriendly people. Before that ordeal, everyone was given a survey asking them to rank the values that were important to them in life. Then, a portion of the volunteers were asked a few basic questions about their top-rated personal value. The process only took a few minutes. But that was enough for these particular folks to then say that they felt better able to deal with the situation than the other volunteers – and they weren’t making it up: when tested, they did indeed have lower levels of stress hormones in their saliva. Meanwhile, another research team asked some of their volunteers to take a moment to write just a couple of sentences about their personal aspirations in life before embarking on a group task. Those people were then rated as more proactive and leader-like by others in their team, even when the task had nothing to do with the personal values and goals they’d written about beforehand. Simply by encouraging people to take a step back and ask “what do I really care about?” the researchers made it easier for people to be the most capable version of themselves, mere minutes later. I like the simple questions in these studies, because they make the idea of finding purpose much less daunting for someone like Michelle. She might baulk at being asked “what’s your purpose in life?” But if I ask her what matters to her most, she doesn’t find it too hard to answer: she wants to encourage her teammates to learn and grow by being the most awesomely supportive manager the world has seen (I’m paraphrasing just slightly). It’s also not too hard for her to take a moment to remind herself of this “micro-purpose” before her next tricky meeting, and perhaps ask herself how she’d like to handle the conversation differently in the light of that. All the evidence suggests she’ll do better in the meeting as a result. And over time, by continuing to ask and honestly answer these sorts of simple questions (“what really matters most to me?” and “what does that mean for the way I want to handle this situation?”), I’ve seen people like Michelle deepen their self-awareness and sharpen their grasp of how they might take strides toward a bolder pursuit of meaning in their career. (For Michelle, perhaps education will become a cause of hers, or perhaps she’ll get interested in exploring roles in learning and development.) She might still be a little way from having a fully articulated philosophy of her purpose on the planet – but she’s on the way. And as we all know, the journey is often as important as the destination. 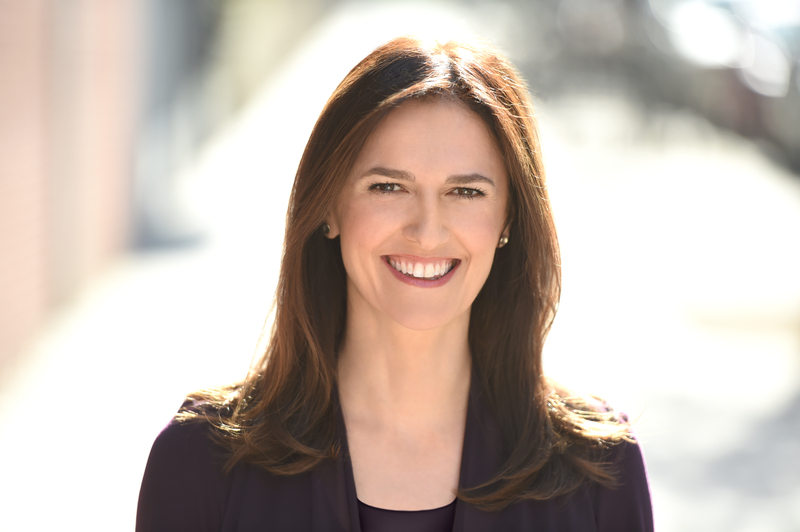 During her twelve years with McKinsey & Company, Caroline co-founded McKinsey’s leadership practice, and designed the firm’s approach to transforming senior team dynamics and improving personal effectiveness. She also founded and remains faculty of McKinsey’s flagship training course for senior female executives. Before that, Caroline spent the 1990s working in public policy as an economist at the Bank of England. Her work there included global economic forecasting and institution building in post-communist eastern Europe. Caroline is a regular contributor to Harvard Business Review, and she has written on behavioral change topics for Fast Company, Quartz, Business Insider, Huffington Post and WIRED. Her work has also been widely featured in national and international media over the years, for example in The Economist, The Financial Times, The Washington Post, The New York Times, The Guardian, Inc., Forbes, Fortune, and BBC Radio. She is represented by the Washington Speakers Bureau for her speaking engagements, is a Founding Fellow of the Harvard-affiliated Institute of Coaching and has degrees in Economics from Cambridge and Oxford Universities. Caroline is based in New York, but travels frequently to give speeches and run workshops for clients around the world.